The two epics, The Ramayana (Story of Prince Rama) and The Mahabharata (War of the Bharata) originated from India where they still enjoy tremendous popularity, and are recited in an act of great merit to this day. These two classics spread in various forms throughout Southeast Asia (especially Kampuchea, Indonesia and Thailand) and have since been dear to the hearts of Asians over a thousand years. Translated from Sanskrit into Kawi, these immortal poems continue to inspire the arts and stimulate the imaginations of Indonesians with a world of heroism and adventure. 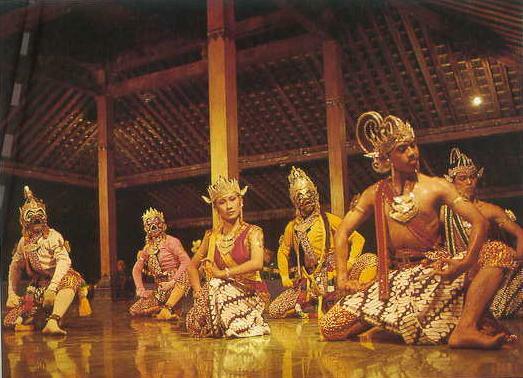 The heroes of the epics have thus become the heroes of Java-Balinese theatre, dance and shadow play. In Bali, artists re-interpret the epics in stone reliefs, woodcarvings, ink drawings and paintings. Delighted crowds gather to watch the wayang kulit puppets cast shadows of mystical princes and monasteries across the screen, to the chanting of a storyteller. 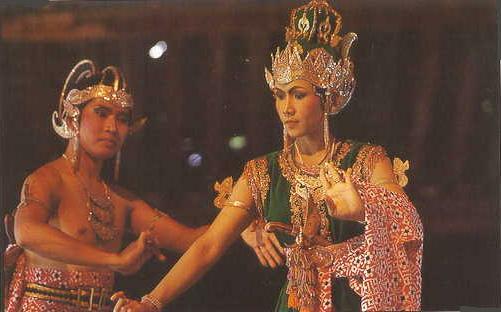 In the classical play Wayang Wong, in the contemporary Ramayana Ballet, and in the choral drama of the modern Kecak, or Monkey Dance, the tales from these epics are re-enacted with great enthusiasm and appreciated by viewers who find beauty in their many interpretations. The reason for the popularity of the Ramayana and Mahabharata goes deeper than mere entertainment. One main theme of Hindu literature in Bali is the constant and symbolic struggle between absolute good and absolute evil. The principal characters and their allies are defined on a moral basis. Rama, hero of the Ramayana, is a reincarnation of Vishnu, the Preserver, and embodies, the ideal of manly virtues: strength, endurance, love and devotion to truth. His wife Sita, is the ideal of womanly faithfulness and martial love, while his companion and brother, Lakmana, personifies fraternal courage and loyalty. Rama’s antagonist, Ravana, the many-headed demon-king with a retinue of giants, revels in lust, deceit and hatred. Whereas the Ramayana illuminates, the ethics of human relationships, the Mahabharata sings of the glorious exploits and deeds of battle in the war of the Bharatas. The verses ring of dazzling feats of warriors unconquerable, tournaments of princes, daring escapes from death, and merciless revenge in a bloody feud between two rival royal houses. The heroes of the epics are much more than fictional characters to the people. Each of them define both a personality and a way of behavior. Many times an Indonesian may describe a friend by likening him to a hero, as “he is powerful and strong willed, like the warrior Bhima (of Mahabharata). (source: Insight Guides – Bali – created by Hans Hofer). For more refer to chapter on Suvarnabhumi). Refer to My Bali Diary - By B Raman - saag.org. Refer to Who Killed Our Culture? We Did - By Youki Kudoh - time.com May 3 1999. The leaders of the Hindu and Jewish communities met in London on Tuesday for the first time to discuss cooperation between the two communities. 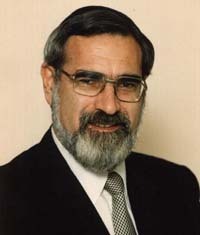 During the meeting between Chief Rabbi Dr Jonathan Sacks and Ramesh Kallidai, Secretary General of the Hindu Forum of Britain, the Chief Rabbi, said, "The Hindu community had added so very much to British life. It simply wouldn't be the same without your contribution. You've added colour, grace and warmth and certain other characteristics, which are so needed." "Your gentleness, your dignity, your joy of life is so welcome and so rare in a society and an age that often seems so rushed, noisy and sometimes so abrasive and aggressive. We are enriched by all you have given the society we share," he said. "The Jewish community is the most diasporised and modern of communities in the world. The Hindu community is also diasporised and The leaders of the Hindu and Jewish communities met in London on Tuesday for the first time to discuss cooperation between the two communities. Speaking about the cooperation between the two communities, Ramesh Kallidai explained, "The Hindu Forum of Britain, which helped host the event, has established good very relations with the Board of Deputies for British Jews and the Community Security Trust, The Board of Deputies is helping the Hindu Forum to organise community structures similar to the successful model adopted by the Jewish community, while the Community Security Trust will be helping the Hindu Forum to commission a project for the security of Hindu temples." Commenting on the traditions common to the Jewish and Hindu faiths, the Chief Rabbi said, "We both honour our past while living in the present. We both seek to honour our traditions while contributing as members of British society. We both cherish our communities, our families and our children. "We both think we have something more special than the individualism and consumerism of contemporary culture. We have much in common. We also have many things that are different between us. And what we have in common, unites us, and what we have different enriches us." (source: Chief Rabbi hosts first Hindu-Jewish meet - hindustantimes.com). Refer to Christian Supremacy: Pushing the Dhimmitude of Non-Christians in America . The Intolerance of Monotheistic religions? Saudi religious police (The Muttawah) have destroyed a clandestine makeshift Hindu temple in an old district of Riyadh and deported three worshippers found there, a newspaper reported yesterday. Members of the Commission for the Promotion of Virtue and Prevention of Vice, or religious police, on Thursday stumbled across a room converted into a temple while raiding a number of apartments suspected of being used to manufacture alcohol and distribute pornographic videos, pan-Arab Al-Hayat said. "They were surprised to find that one room had been converted into a Hindu temple," the newspaper said. A caretaker who was found in the worshiping area ignored the religious police orders to stop performing his religious rituals, the paper added. He was deported along with two other men who arrived on the scene to worship. All forms of non-Muslim worship are banned in ultraconservative Saudi Arabia, which is home to Islam's holiest shrines. The U.S. Commission on International Religious Freedom, an advisory panel, last month urged the Bush administration to impose sanctions on Saudi Arabia, as well as Vietnam and Eritrea, for violating religious rights. Are Hindu lives are less valuable than Muslim lives? That is, a Muslim man's life is worth 33 times that of a Hindu woman. This is clearly the view of the Indian 'intelligentsia' as well; for they have made 33,000 times as much noise over the death of even a Muslim rioter in Gujarat as over the torching of a Hindu pilgrim woman in Godhra. (source: After the carnage: the predatory 'intelligentsia' - By Rajeev Srinivasan and The value of a Hindu life - By Rajeev Srinivasan - rediff.com). Indians travelling to Saudi Arabia have been warned not to carry religious scriptures, photographs or idols. An official statement issued here Wednesday said that religious activities in private residences or undertaking missionary or preaching activities are banned in Saudi Arabia and could invite stringent punishment. (source: Indians warned against carrying scriptures to Saudi - yahoo.com). The Hindu American Foundation (HAF) expressed support over portions of the annual report released by the United States Commission on International Religious Freedom (USCIRF) last week. HAF particularly appreciated the attention the USCIRF report brought to the atrocities suffered by Hindus and other minorities in Pakistan, Saudi Arabia and Bangladesh. The foundation plans to release a report next month on the status of Hindu human rights in Bangladesh, Pakistan and India's State of Jammu and Kashmir for 2004 that will elaborate this issue beyond the scope of the USCIRF report. HAF previously issued a condemnation after Saudi religious police destroyed a Hindu temple and deported worshippers. Gujarat Chief Minister Narendra Modi hit out at the US for revoking his visa, saying it amounted to an "INSULT" to India and reflected Washington's effort to show this country in a "poor light". Maintaining that "no court had given any decision" against his government or himself on the Gujarat riots issue, Modi said "the one-sided US decision amounts to insult to India's Constitution and self respect." 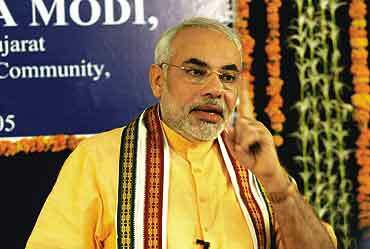 Modi added, "no country can impose its laws on citizens of another country while granting visas. If an America citizen wants to come to India, are we going to question what Americans did in Iraq and deny them visa?" He asked why Washington had maintained friendly relations with Pakistan despite it being clear that terrorism perpetuated by that country was responsible for the ouster of the entire minority Hindu community from Kashmir. "Tomorrow if the American army chief wants to visit India, should we look at the US track record in Iraq (Abu Ghraib and Guantanamo Bay) and deny him a visa," he asked. Modi spoke of his visits to countries like the UK, Australia, Singapore, Hong Kong and Switzerland where no one objected. A interviewer also asked Kennedy as to why the entry of the King of Saudi Arabia (It regularly hosts Saudi Arabia’s Wahhabi regime, for instance ) and President of Pakistan who are no less guilty of human rights violation were free to enter US. Among its best friends, it counts the Saudi regime that continues to deny religious freedom to its people as a matter of course. The US has memorably played hospitable host to, among others, the armed conspirators of Khalistan. Refer to Kargil War. The response to the US State Department's decision to rescind Gujarat Chief Minister Narendra Modi's tourist/business visa and deny him a diplomatic visa, thus effectively debarring him from entering America whose doors were flung open to welcome Sinn Fein's leader Gerry Adams the previous week, is enlightening. Christian and Muslim organisations based in America and comprising Americans of Indian origin have been effusive in welcoming the US State Department's patent discourtesy and callous disregard towards India's sensitivities as a sovereign nation. 'Coalition Against Genocide,' floated by Indian Americans to block Mr Modi from entering the USA, can eat crow. So can United States Congressman Joe Pitts who has been going around bandying astonishing lies to defame Mr Modi. Nor would General Pervez Musharraf have been a welcome guest in Washington if the US administration had taken its freedom of religion report on Pakistan as seriously as it has taken the bunkum about religious freedom in India. General Musharraf is wholly responsible for the ethnic cleansing in the Kashmir valley that has led to the destruction of the Kashmiri Pandit community. 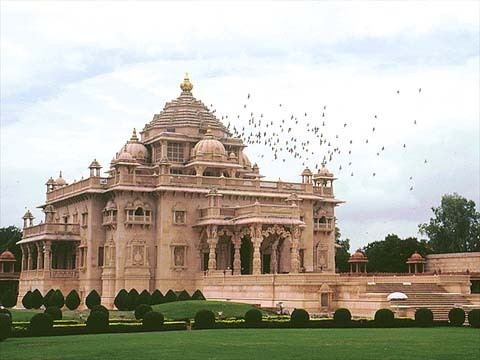 The fact that President Bush is in the process of writing Pakistan's military ruler, whose khaki is stained with the blood of thousands of Hindus, including at the Akshardham temple, killed by Islamic terrorists sponsored by him, a cheque for $630 million, is comment enough on American duplicity. If Modi is guilty of violation of human rights of religious minorities, as alleged by the US, so were Narasimha Rao, Rajiv Gandhi, Indira Gandhi, Jawaharlal Nehru, D P Mishra, and Kamaraj. Why did the US, in its hypocrisy, choose to act against Modi, and never in the past against the others? There are several reasons for this. One of them is that the Christian influence on US policy-making and its political leadership was not as strong in the past as it is today. Another is that no Indian, whether living in India or in the US, would have ever thought of seeking the intervention of the US to teach a lesson to another Indian whom they disliked strongly. Who were the people who ganged up against Modi to humiliate him and teach him a lesson? 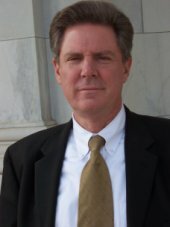 Sections of the so-called secularists in India and the US, many of them Hindus, who cannot stand the sight of any party which seeks to articulate the feelings of Hindus and give them a sense of pride in their identity as Hindus. These secularists vie with one another in visiting Islamabad and getting themselves photographed with President General Pervez Musharraf as a certificate of their secularism. Has any one of them ever condemned Musharraf for his murder of democracy or for the continuing massacre of Shias and Balochis under his rule? Never. For them, Musharraf, or for that matter a Muslim or a Christian can do no wrong. All the wrongs in this part of the world are done only by the Hindus. For the so-called secularists of India and of Indian origin in the US, Christian or Muslim fundamentalism is all right but Hindu assertiveness is a sin. The Christian fundamentalist organisations in the US played an important role in ensuring the re-election of President Bush and he owes them a political debt. They have made it appear that their action in demanding that Modi be barred from entry into the US was motivated by their outrage at the plight of Muslims in Gujarat. The real reason is their anger at his alleged action to prevent foreign Christian missionaries from indulging in proselytisation. (source: Modi's visa denial: Who did it? - By B Raman - rediff.com). For more refer to Carnage in Godhra, Gujarat and Images Of Godhra Carnage). For more refer to Lies catch up with Arundhati Roy - outlookindia.com. For more refer to chapter on Conversion. Refer to A crime worse than Modi's - By Saisuresh Sivaswamy - rediff.com. For the Plight of Hindus refer to Hindus in Bangladesh, Pakistan and Kashmir - By Hindu American Foundation HAF Refer to Paris Burning - Riots in France and Intifada in France and Cars, windows smashed in Sydney race riots - Australia. In a stinging snub to Gujarat Chief Minister Narendra Modi, the United States on Friday denied him a diplomatic visa and revoked his tourist/business visa under a law that bars such a privilege to anyone who carries out severe violations of religious freedom. Modi was scheduled to address the Asian-American Hotel Owners Association (AAHOA) in Fort Lauderade, Florida, a public meeting in New York and meet business leaders. But the issue does not stop here. The influential Indian American lobby will try their best to reverse the decision to bring Modi to USA. While pressure to deny visa may have come from Musharraf regime and silent support from Sonia Gandhi regime, Indian Americans in US will try to convince the US State Department, Dr. Rice and even President Bush to reverse the decision immediately. According to media release, BJP was upset at the decision. The Bharatiya Janata Party on Friday slammed the United States for not allowing its chief minister in Gujarat Narendra Modi to enter the country. The BJP said the action was ''''unwarranted'''' and had caused '''insult''' to the entire nation. "We do not need lessons in religious freedom from anyone in the world, including the US," BJP Vice-President and party spokesman Mukhtar Abbas Naqvi said. Another BJP leader said if religious intolerance was the criteria, the US should ban the entry of Chinese leaders. But apparently Sonia Gandhi and her Government were happy at the decision. The Modi affair sums up the predicament of the entire Indian-American predicament. Here is a community of more than a million that equals the per capita income of American Jews but which lacks any significant political influence. This is not because the community does not want to get involved but because it lacks articulate voices. Those Indian-Americans like Bobby Jindal who have made a mark have done so as individuals, not as representatives of a vibrant ethnic group. Yet others, mainly academics, mirror the ant-Hindu self-flagellation of India's own secularists. Consequently, confronted by pressure from influential Christian evangelists who have been made unwelcome in Gujarat, the US political establishment made Modi the fall guy. The US hasn't insulted Modi. It has signaled that Indians are a pushover. (source: US treats India as pushover - By Swapan Dasgupta - sify.com). For more refer to Carnage in Godhra, Gujarat and Images Of Godhra Carnage). For more refer to Lies catch up with Arundhati Roy - outlookindia.com. For more refer to chapter on Conversion. Refer to Christian Supremacy: Pushing the Dhimmitude of Non-Christians in America . Consequently, confronted by pressure from influential Christian evangelists who have been made unwelcome in Gujarat, the US political establishment made Modi the fall guy. The Full capacity at the Madison Square Gardens was 5600. Despite the last minute confusion 5000 showed up. This 5000 included Hindus and Sikhs and Jains from all parts of India This was a pan-Hindu event rather than a Gujarati Event. As against the 5000 Hindu attendees, there were 50 Commies and Islamists with protest banners outside. Local Indian news media was present, but probably they will put a negative spin on it. March 20, 2005 will be written in golden letters in the annals of Indian Americans living in the tri-state area of New York, New Jersey and Connecticut. On this day braving the rough weather, a sea of humanity thronged at Madison Square Garden Theatre right in the middle of New York City to listen to their beloved leader Narendra Modi, Chief Minister of Gujarat in India. Narendra Modi spoke via satellite to a jubilant crowd consisting of more than 5,000 strong people, and answered their questions. Dr. Mahesh Mehta, the Founder/Chairman of Vishwa Hindu Parishad of America, lashing out at the anti-Hindu forces, emphasized that it was incumbent upon us to identify the anti-India elements and their sympathizers who have unleashed the hateful campaign of vilification and denigration against peace loving Hindu people, and expose their nefarious designs. Dr. Mukund Mody, the Founder of the Overseas Friends of BJP said, “The denial of visa was based on wild accusations and distortions by those who indulged in a smear campaign against the Indian leader.” He further stated that The State Department had violated a fundamental principle of the American justice “innocent until proven guilty.” “India has not produced the slave-drivers but Lord Buddha.” “India has not produced Hiroshama nuclear bombers but produced Mahatma Gandhi, declared Dr. Mody. 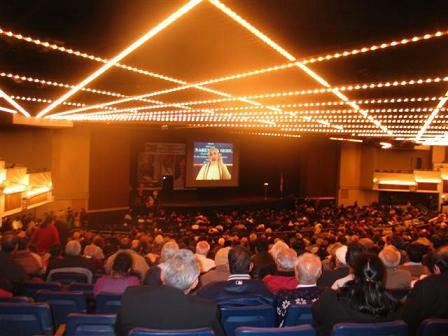 (source: Full capacity at the Madison Square Garden - saag.org and Narendra Modi, A Man with Capital “M” - By Narain Kataria - indiacause.com). US want religious freedom (freedom to convert), so denied visa to Modi? A month-long campaign by Muslim and Christian organisations in the US against Narendra Modi’s visit forms the backdrop to today’s decision by the Bush administration to deny the Gujarat chief minister a visa. The Council on American-Islamic Relations has spearheaded sustained lobbying of the US government and Congress members to prevent Modi from visiting the country to attend a conference of hotel owners of India origin, most of whom are Gujaratis. Separately, but adding substantial religious-political muscle, the Federation of Indian-American Christian Organisations of North America has been running an anti-Modi campaign. The real reason is their anger at his alleged action to prevent foreign Christian missionaries from indulging in proselytisation. The Report on Gujarat you published is seriously unbalanced. There is an eager acceptance of the thoroughly politicised explanation that the Sabarmati train fire, sending forty women and children to a horrible death and prompting the Godhra riots, was an accident. Many who exult in this improbable account also insist that President Bush engineered 9/11 to justify the invasion of Iraq . The violence that followed it stands condemned and the State authorities must always bear moral responsibility for such events on their watch. However, it was scattered across the state of Gujarat and the army was summoned immediately, contrary to some malicious accusations. Criminal responsibility has not yet been attributed to the Chief Minister and smears to impute it are premature. The particular smear, for the umpteenth time about the Nazi sympathies of the RSS to which Mr. Modi is affiliated, is a canard that is repeated unfailingly to deliver a supposed coup de grâce. Let me remind you that the particular unfortunate statement in question, formally repudiated subsequently, served up to smear was made before Kristallnacht in November1938 and long before Hitler become the murderous monster for which he is universally reviled. At the time, his Nazi party had countless sympathisers in Europe, perceiving in him Europe 's saviour from the perversions of Bolshevism. They included much of the British Conservative Party, among them Neville Chamberlain and Lord Halifax. The RSS may deserve ignominy for all sorts of reasons, but not for anti-Semitism because of one solitary statement approving what one leader misguidedly regarded as German patriotism. And it remains Israel 's staunchest supporter in India unlike the fiercely anti-Western and anti-Israeli commentators whose account of alleged Hindu extremism your correspondent has uncritically espoused. (source: Tendentious reporting on Gujarat). Now, will the USA government deny visa to the senior Chinese leadership? In its Jan. 18 analysis of the new law, the Norway-based rights group F18 observed that the regulations maintain the requirement that Chinese religious organizations should function independent of "foreign forces." This places severe strains on Catholics in China, since it means "they must either sever all ties with the Vatican or seek papal recognition privately," F18 noted. Recent events show the government's determination to keep a firm control over religious activities. Amnesty International also noted that Beijing was continuing its hard-line policy against believers. AI commented that the official China Daily had referred to the new law as "a significant step forward in the protection of Chinese citizens' religious freedoms." Action against these unofficial churches has been common. The AI press release noted that in July 2003 more than a dozen house churches were reportedly destroyed and at least 300 Christians arrested, some ill-treated and beaten. Moreover, "the new regulations do nothing to reduce the restrictions on underground churches or the persecution that accompany them," AI said. Religious tolerance in China remains elusive. China broke ties with the Vatican in 1951 and demands Catholics worship only in churches approved by the official China Patriotic Catholic Association. The official church claims 4 million believers but an equal number worship in an underground church loyal to the Vatican and relentlessly persecuted. (source: China Tightens the Screws on Religion - zenit.org). For more refer to chapter on Conversion.